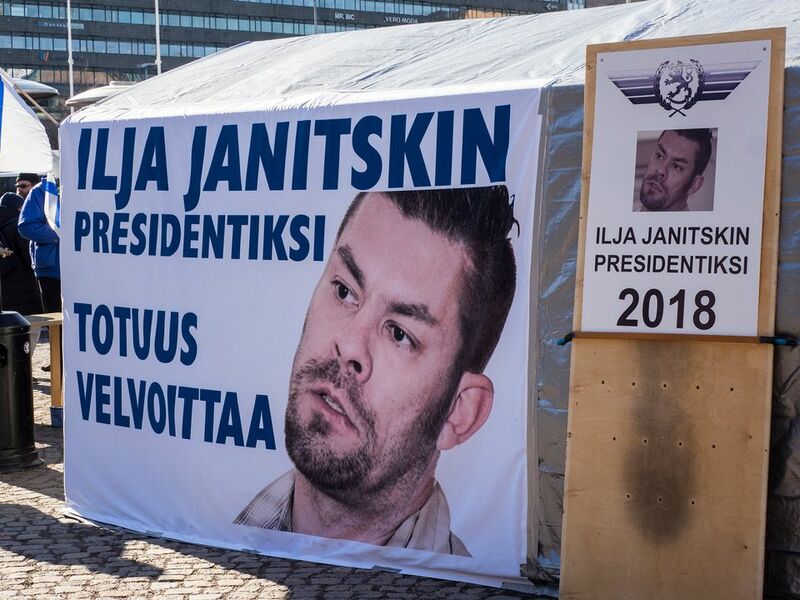 Finland's National Bureau of Investigation announced on Twitter late Friday night that anti-immigrant and anti-EU website MV-lehti founder Ilja Janitskin was arrested in the country of Andorra. An arrest warrant in absentia was issued for Janitskin in Finland last autumn, where he faces preliminary investigation into a rash of offenses, including aggravated incitement against an ethnic group. MV-lehti founder Ilja Janitskin has been detained in the microstate of Andorrra, according to a Twitter post from the National Bureau of Investigation. The Bureau says it received confirmation from the international police organisation Interpol Friday evening. The tweet also stated that Finland's Ministry of Justice will be charged with handling Janitskin's extradition to Finland. Finland's courts decided last autumn to issue a pan-European arrest warrant in absentia for Janitskin, who founded the nationalist website MV-lehti from his home in Spain in 2014. After the warrant was issued in October, Janitskin let it be known that he would not willingly give himself up for questioning. He has been accused of a total of 46 offenses, the most grievous of which include aggravated incitement against an ethnic group, aggravated slander, money laundering, gambling offenses, illegal threats, breach of confidentiality and intellectual property theft. Janitskin's lawyer Heikki Lampela says his client has been primarily residing in Spain since the warrant was issued. He says Janitskin was aware that he could be detained at any time. Janitskin was detained previously, by the Spanish police on October 27, but for reasons unknown to the Finnish police, the Spanish authorities released Janitskin three days later. Janitskin confirmed the event himself on Facebook.